Ethel Lee Ballard Dunlap passed away Wednesday, April 10, 2019 at home in Hurst, TX. She was 100 years old. A resident of Kingsford Height, IN for 56 years, Ethel moved to Texas in 2014. She was born December 26, 1918 in Leflore County, MS. She married Shed Dunlap, Sr., and to their union 11 children were born. The family later moved to Indiana in 1958. Always a devoted wife and mother, Ethel was also well known for her love and participation in her community. Ethel lived her life by her Christian principles. 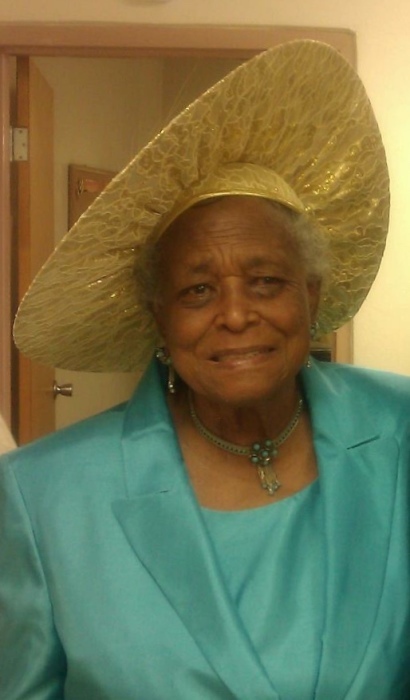 She was an active member of First Baptist Church in Kingsford Heights, where she sang in the choir, taught Sunday School, and was an announcement clerk. She also was a leader of the Women’s Missionary Ministry for many years, participating at the local, district, and state levels. Education was priority with Ethel. She helped establish a scholarship fund for family members. She also loved to cook and enjoyed traveling. She was preceded in death by her husband, Shed; sons, Herman Earl, Eric Scott (Scottie), Shed, Jr, and Mitchell (Mickey) Dunlap; daughter, Alice (Fredia) Dabney. Ethel is survived by her children: Alma (Raye) Bynum (Lester); Frances Evans (Calvin); Roger Dunlap (Sharon); Larry Dunlap (Jenice); Cheryl Boiser, and Orlando (Lamar) Dunlap (Joy); grandchildren, great grandchildren, nieces and nephews, and a host of relatives. Visitation will be from 9:30 a.m. to 11 a.m. Saturday, April 20, 2019 at the First Baptist Church in Kingsford Heights. A Celebration of life will begin at 11 a.m. following the visitation. Burial will follow in Pine Lake Cemetery, La Porte. In lieu of flowers memorial contributions may be made to the First Baptist Church, 2101 Chatfield Rd, Kingsford Heights, IN 46346. Arrangements have been entrusted to Frank L. Keszei Funeral Home, Essling Chapel in La Porte. Please share prayers, condolences, and memories with the family at Essling Funeral Home.com.